Jamey is back at it with another recipe! 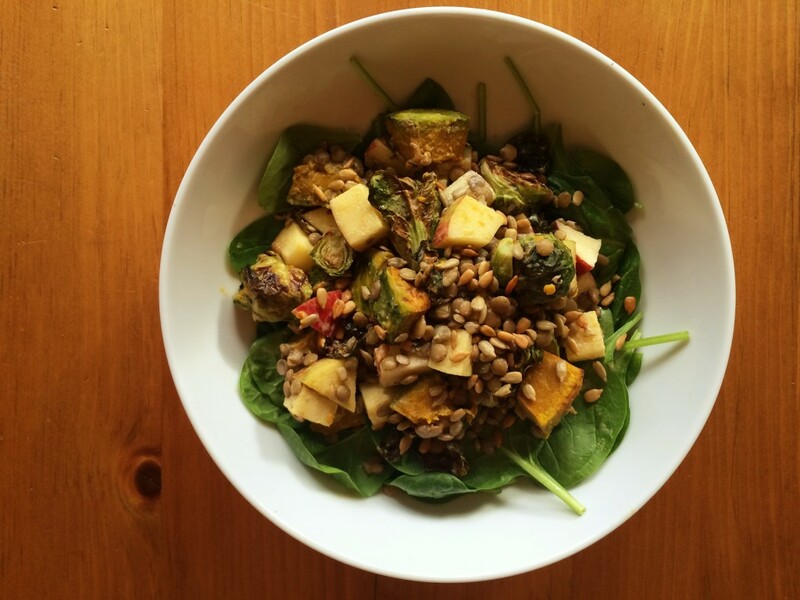 I love tahini dressing and squash, so this one is sure to be a winner! When I think of autumn meals, I think of warm bowls of soup, creamy casseroles, and decadent desserts. Healthy eating patterns of summer tend to be ignored in favor of comforting tastes. I’m all about not depriving and enjoying life (aka food! ), but I wanted a dish that had the tastes of fall, without any guilt. 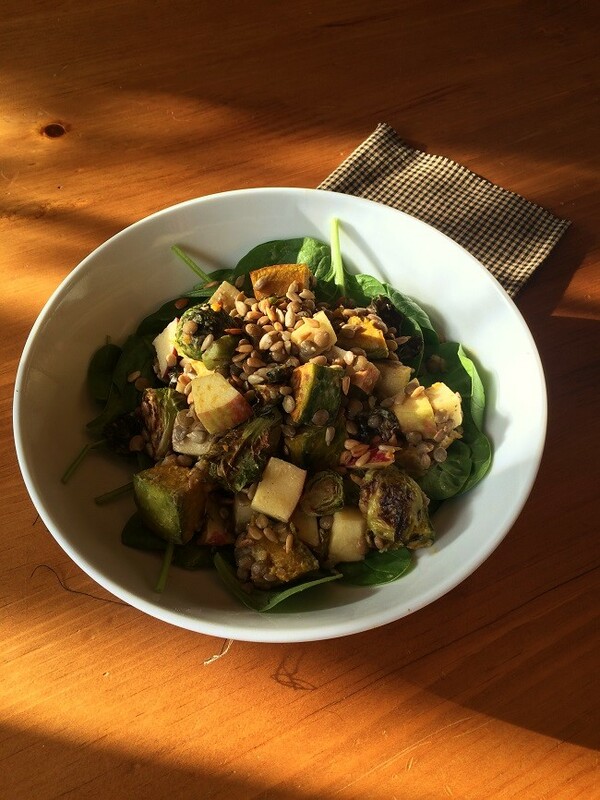 I give you Autumn Salad with Pumpkin Spice Tahini Dressing! I’ve been wanting to experiment with tahini for quite some time. It has a subtle sesame, earthy flavor. I simply whisked together equal parts tahini, apple cider vinegar, and hot water. I didn’t want a huge batch, so I used 1/4 cup for each. A half of teaspoon of pumpkin spice, a dash of cayenne pepper, and a pinch of salt for flavor! Finish her off with a teaspoon of honey for sweetness. Viola! A simple and creamy autumn salad dressing! To assemble the rest of the salad, you can simply use leftovers, or make everything fresh. I started by preparing lovely lentils. Cooked according to directions. 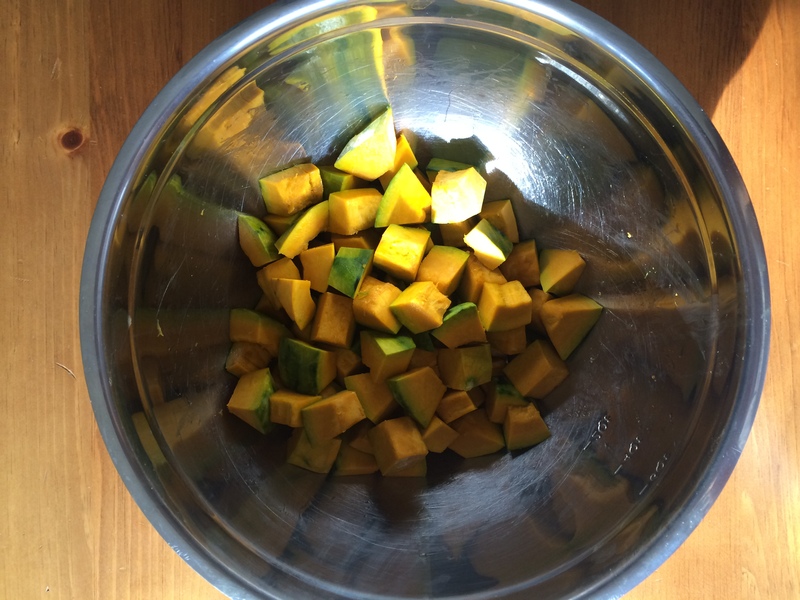 And did some serious chopping of a poor buttercup squash! 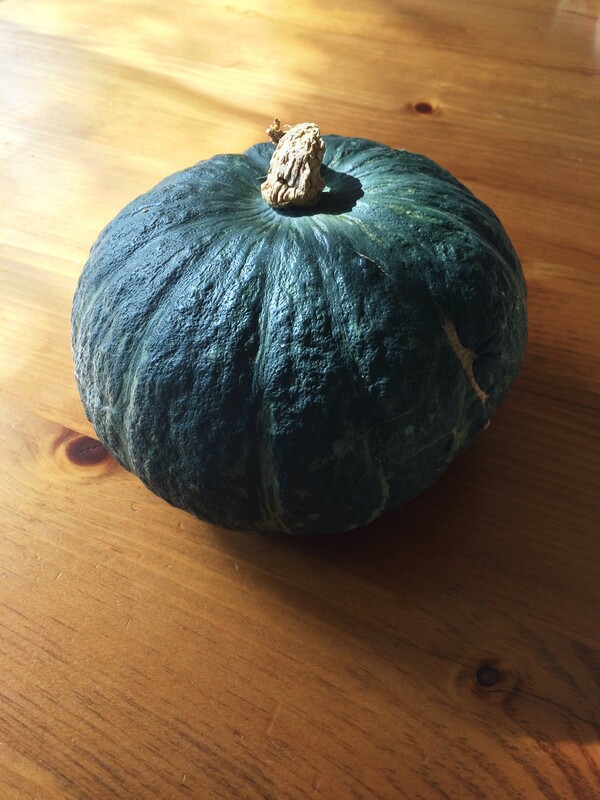 I love buttercup (kabocha squash’s sister), but feel free to use your favorite winter squash! Toss with some oil and roast in a 450 degree oven for about 40 minutes, or until the cubes begin to brown. Tossed with oil and roasted in the oven for about 40 minutes at 450 degrees. I like mine crispy! Lastly, a tasty honeycrisp apple. Chopped into bite sized pieces. Toss the squash, Brussels, and apples together. Mix in the lentils. Then, drizzle with as much dressing as you prefer. All the tastes of autumn in one bowl! Serve on top of greens with a garnish of seeds. A perfect combination of textures and tastes. Measure 1/4 c tahini into a bowl. Add 1/4 c apple cider vinegar. While whisking, slowly add 1/4 c of warm water. 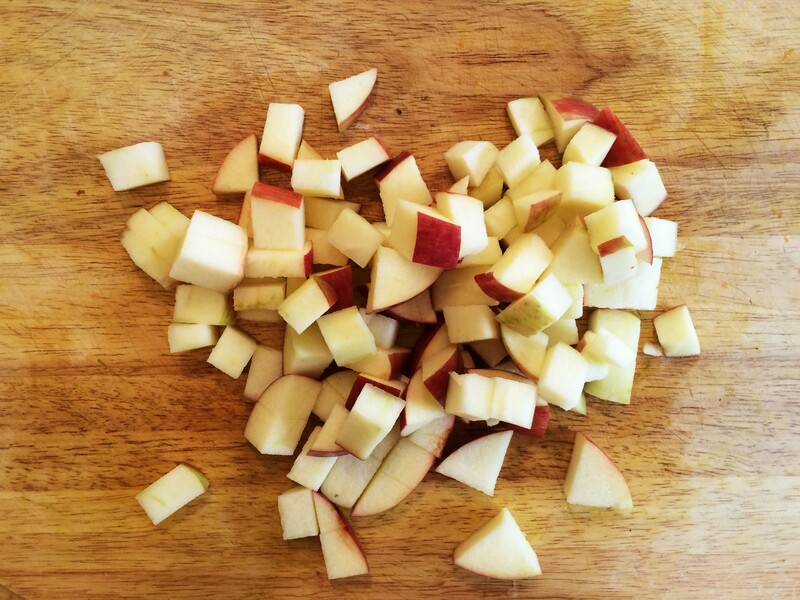 If you want a thicker dressing, add less water. If you want a thinner dressing, add more. 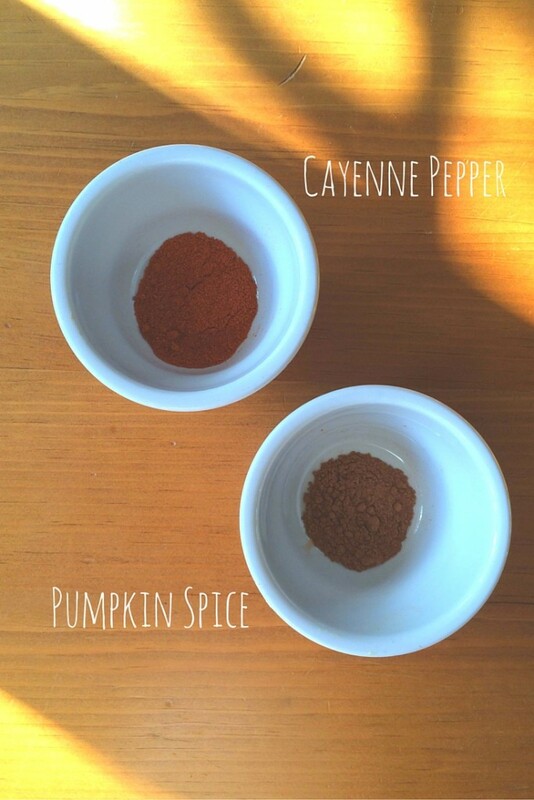 Whisk in 1 tsp of honey, pumpkin spice, cayenne pepper, and salt. Adjust measurements to your liking! 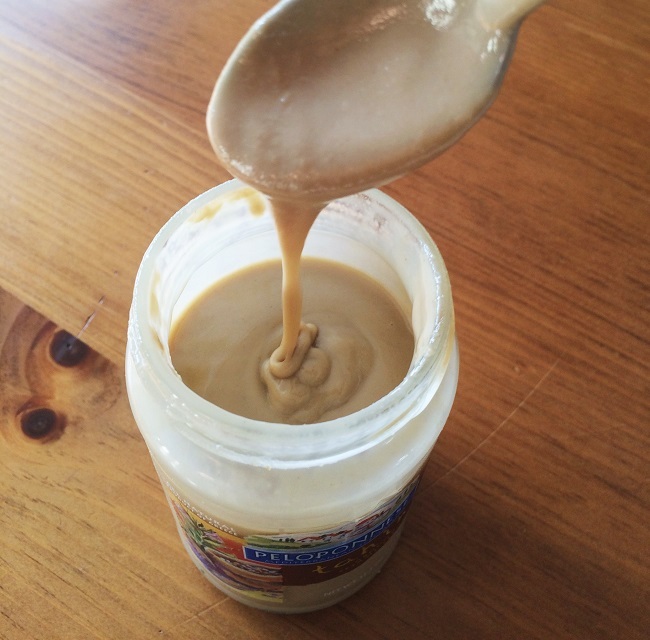 *If you do not like, or have, tahini, feel free to substitute it with your favorite nut butter! 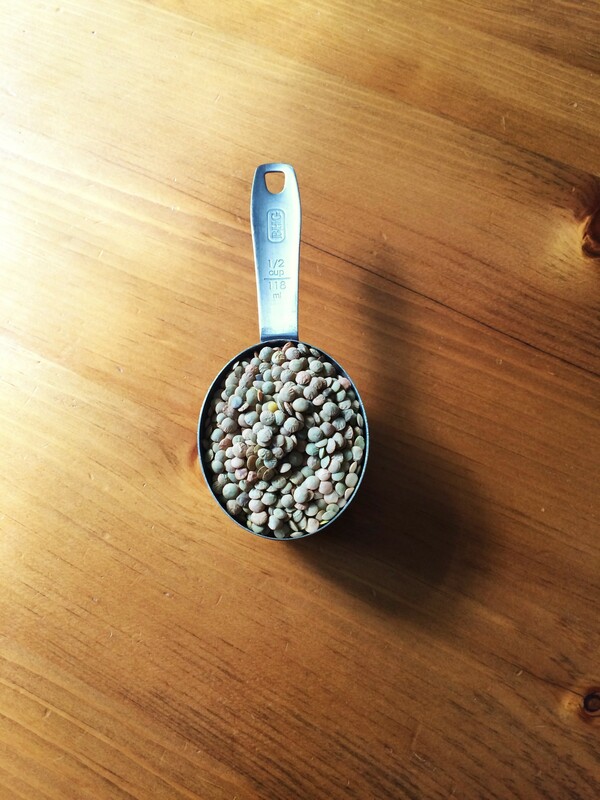 Prepare lentils according to directions. 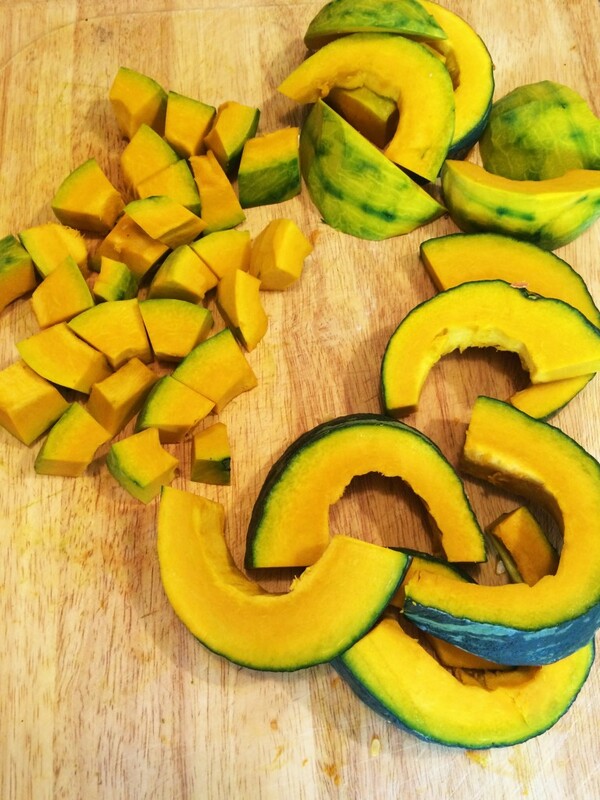 Roast the squash for 40 minutes or until browned in a 450 degree oven. 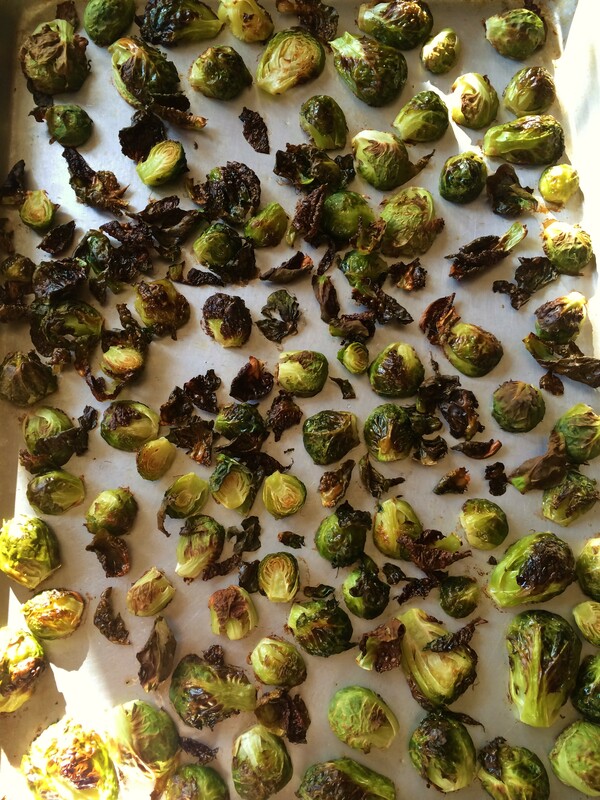 Roast the Brussels sprouts for 40 minutes or until crispy in a 450 degree oven. Cube the apple while waiting. 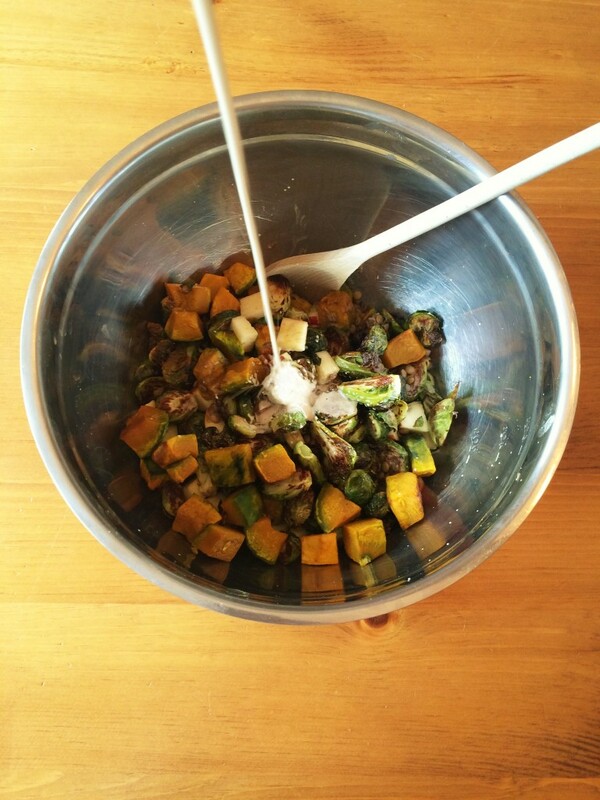 Toss all ingredients together in a large mixing bowl, being careful not to squish the squash. Top with Tahini Pumpkin Spice Dressing. Thanks again to Kath for letting me share! I hope you enjoy! 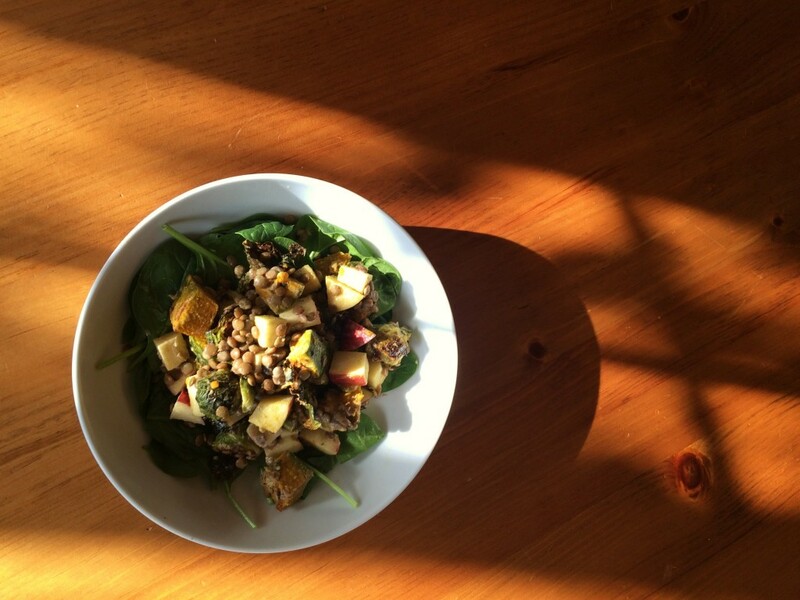 This both looks and sounds like the ideal seasonal salad! Looks great! I love tahini but do not have any at the moment. It may not work as well, but I think I’ll play around with using hummus in place and follow the recipe accordingly. Perhaps it’ll work. 😉 Thanks! I love tahini and apple cider vinegar in dressing—everything about this salad sounds delicious! Looks so good – definitely going to make 🙂 Could be good to top with toasted sunflower or pumpkin seeds too ! 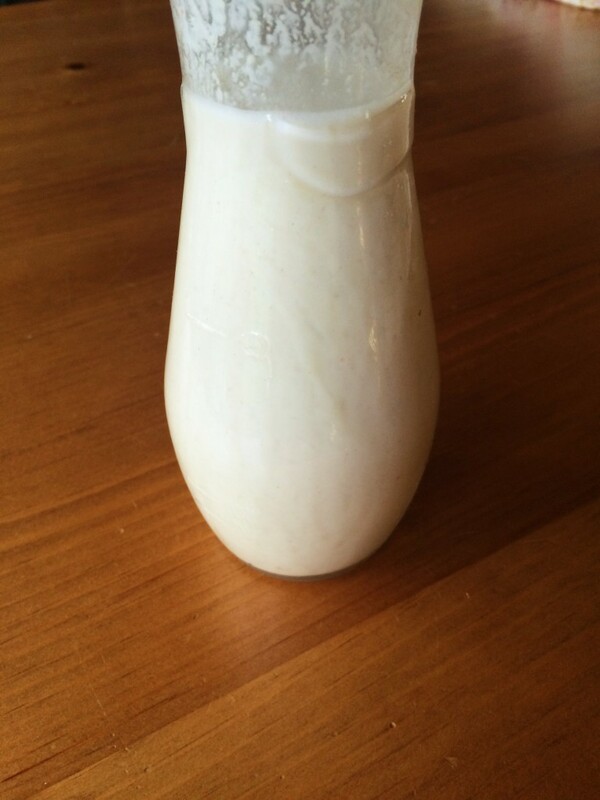 I could live off tahini (and have been the last few weeks, love it so much!) But the pumpkin spice is so creative! Love it! 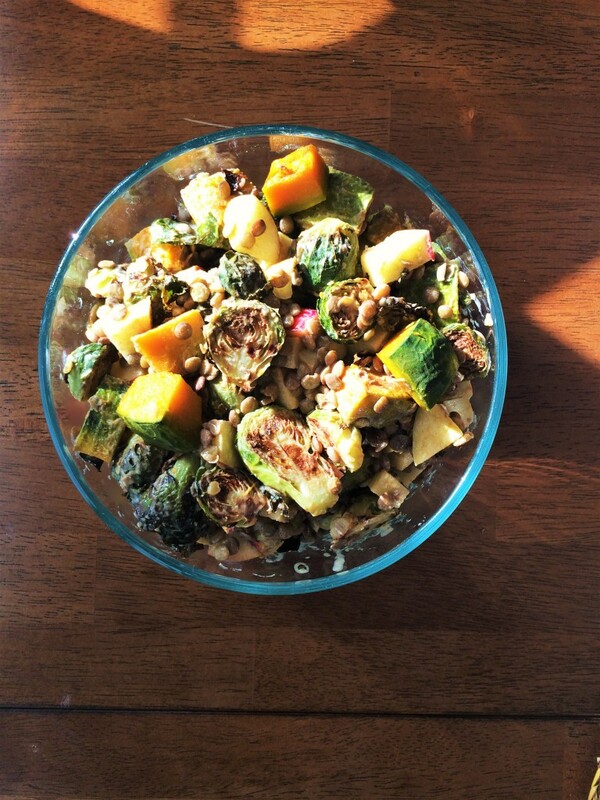 Brussels, apple, squash, such a winning combination! Jamey kills it with the recipes! This salad and dressing look so delicious!! Perfect fall lunch! Wow, this combination looks stellar. 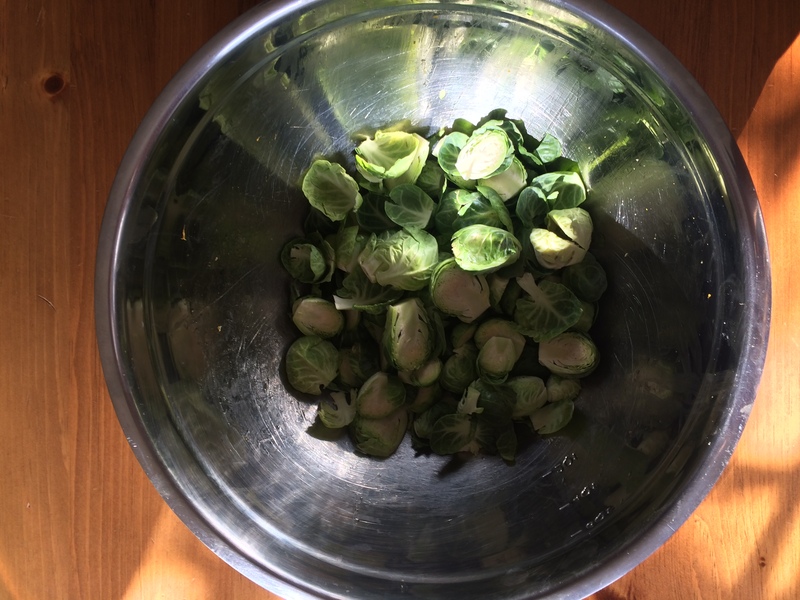 I love my brussel sprouts crispy as well, the flavors really come out more that way! Oooh yum! This dressing sounds awesome! I love this recipe, Kathy! It has all the perfect fall flavors combined, and anything with tahini, squash, pumpkin seeds, and lemtils is always a win! ;) Thanks for sharing!! This looks delicious and the dressing it sounds amazing. I have everything but the Tahini. Almond butter might work in a pinch- maybe. That looks really tasty! I used up my tahini making hummus today; need to get more ASAP so I can try this! Looks like a wonderful salad! Tahini = the bomb 🙂 What a delicious salad. Cannot wait to try out this seasonal dish! This sounds terrific and I look forward to trying it!